Breeder: David Wall, Dublin, Ireland. Dickens is by the noted sire Curaheen Warrior whose sons have sold to €18,500. Warrior has produced exceptionally well in both David Wall and Raymond O’ Malley’s herds. 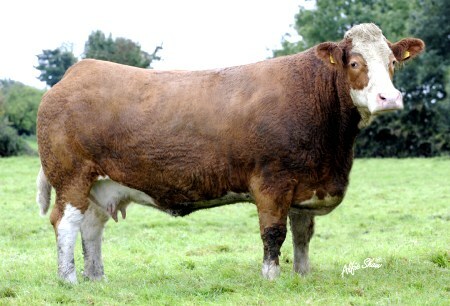 Dickens’ dam is one of the top cows in the Curaheen herd. Dickens’ full brother was sold to the Jalex herd in Northern Ireland. 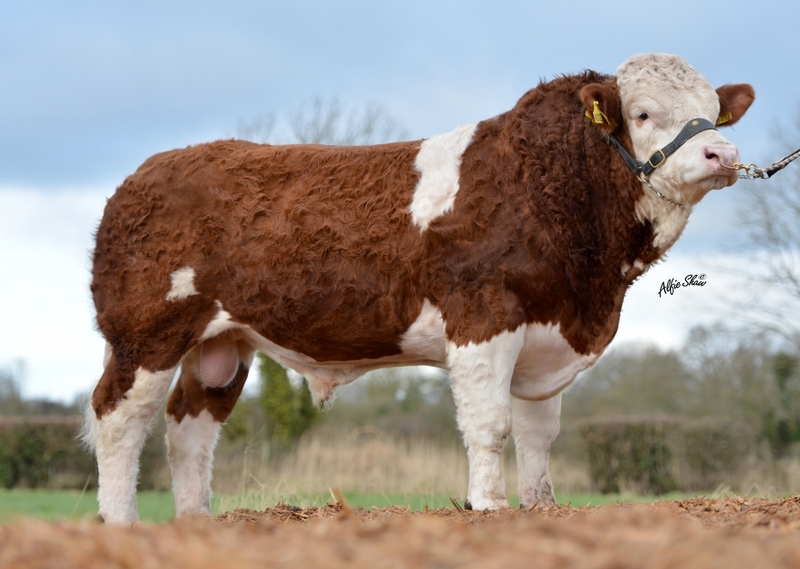 Dickens’ full sister, Auroch Belle, sold to the Hillcrest Simmental herd for €8,000. Another full sister, Curaheen Elegance is retained in the Curaheen herd. 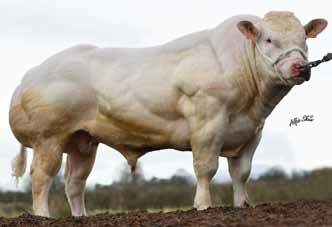 Dickens was the Ploughing Bull Champion in 2013. He has the pedigree, performance and figures to meet breeders needs. Dickens is a long, clean bull with good topline, and good legs and feet. He is very well natured, easily fleshed, and has is 90% red. 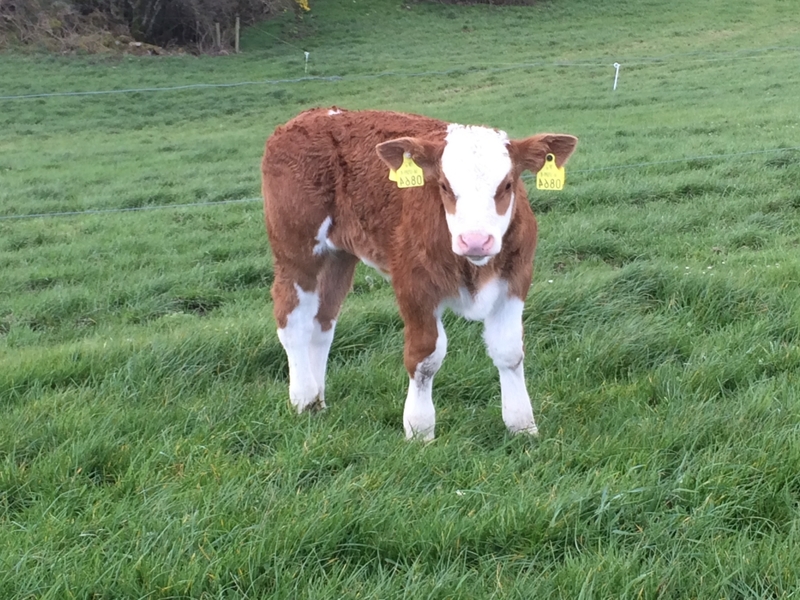 Dickens’ first pedigree calf was born recently in the Curaheen herd. Dickens will produce females with excellent maternal traits. First calves are now arriving on the ground with excellent satisfaction. For use on mature cows. Dickens’ paternal grand dam, Merle Beauty. 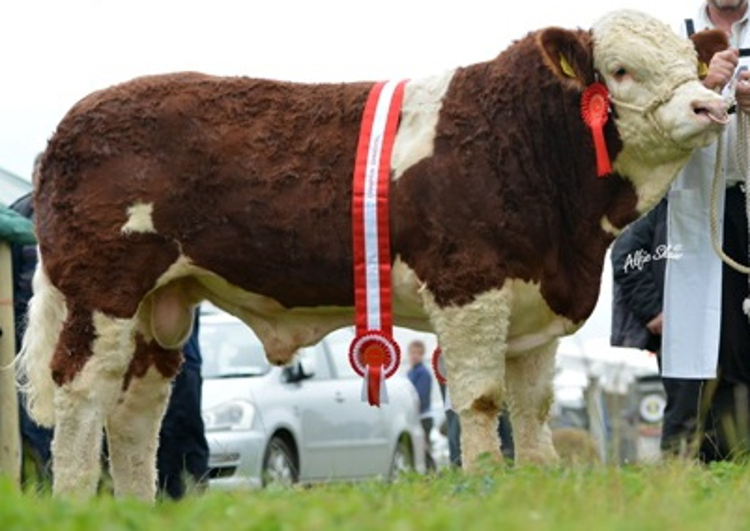 Dickens – pictured after winning the Ploughing Bull Champion 2013. 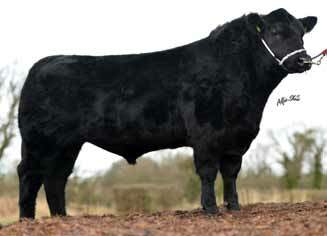 Dickens commercial bull pictured @ 1 week bred by Gerard Dineen, Cork.